Capturing your adventures and exploits while mountain biking and sharing it with friends and family is fun and entertaining (and perhaps egotistical), whether its data from a video camera or a bike computer. 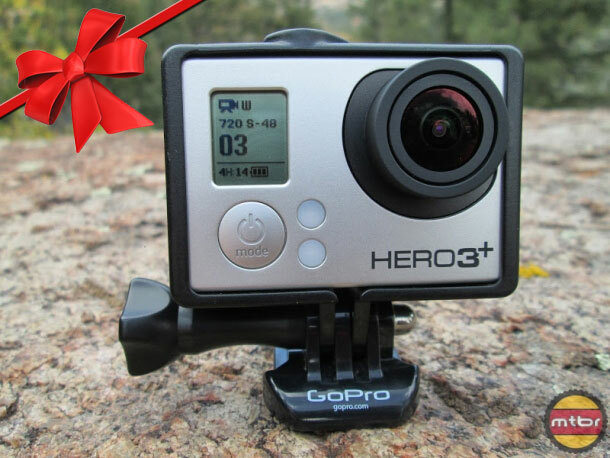 Showing spectacular terrain, gnarly trails and rides with friends require a Point-of-view (POV) action camera that is easy to use and captures good quality video. 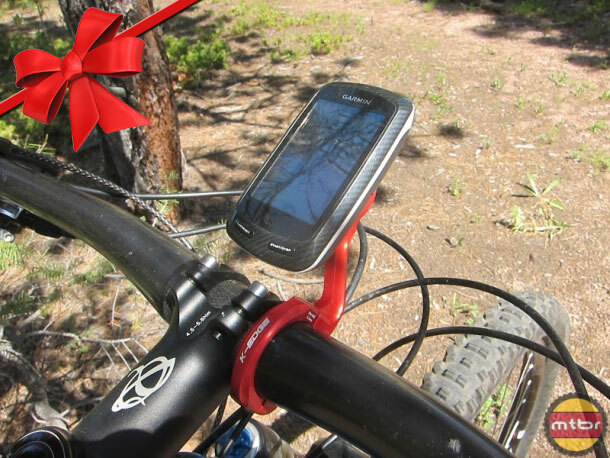 Many of us use our smartphones for our bike computers, and a protective case and a handlebar or stem mount greatly increase their usefulness. 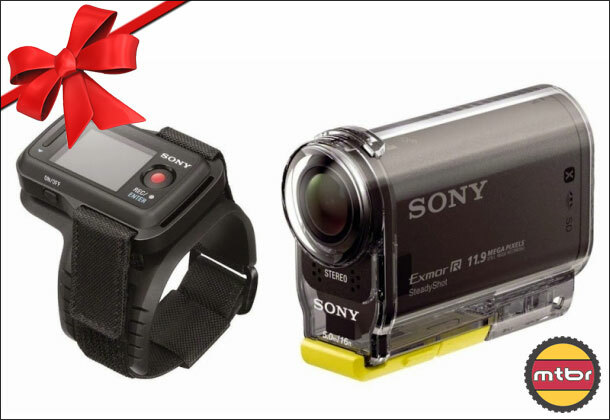 If you have someone on your list like this (or if this person is you), we have compiled this list of gift suggestions for the video gadget and bike computer junkie. The new GoPro HERO3+ comes with a 20% slimmer waterproof housing, 30% better battery life, improved audio and faster Wi-Fi. In addition to those features, the upscale Black Edition gets a new SuperView video mode, Auto Low Light and a lens that boosts a 33% increase in image sharpness. Down deep in the innards of the camera are improved hardware and software, which will enhance overall performance and image quality. The HERO3+ Black Edition retails for $399.99 and the Silver Edition for $299.99, while the White Edition remains unchanged and still retails for $199.99. 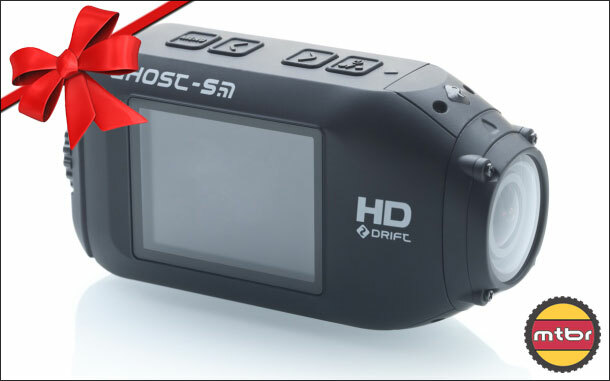 The new Drift Ghost-S retails for $399 and gets a 3.5-hour battery, an upgraded processor that is twice as fast as its predecessor, and it now records in higher resolutions of 1080p 60fps and 720 120fps, both of which allow you to create slow-motion videos. They’re now using a Sony 12MP CMOS sensor and an updated 7–element aspherical lens, which rotates 300º, both of which should greatly improve the clarity and richness of the recorded footage. The new Scene Mode feature allows you to choose between normal, vivid and low light settings, and the low-light option dynamically adjusts for those conditions to give the best possible results. The new Sony HDR-AS30V retails for $299.99, and is the second generation of their current HDR-AS15, and its 25% smaller and 35% lighter. It has the same lens and basic layout as its predecessor, and most changes are minimal, though it does get built-in GPS and the ability to do 11.9-megapixel photos. It gets a slimmer and lighter waterproof housing that goes to 16 feet instead of the previous models 197 feet, and this alteration allowed waterproof membranes to be added for the microphones, which greatly improves sound quality. In addition, the housing has external buttons, so more settings can be changed without having to remove the camera from the housing. It also gets a backlit Exmor R CMOS sensor, 1080/60p video, universal and chest mounts, and an optional wearable and waterproof Live-View remote. 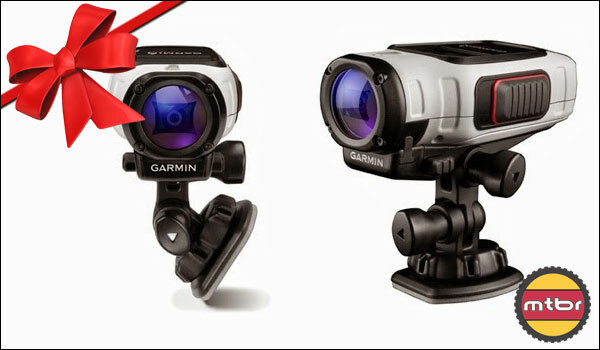 Garmin is new to the POV game, and their camera comes in two versions, the $299 VIRB and the upscale $399 VIRB Elite. They’ll be able to shoot up to 1080p at 30fps videos and 16MP still photos, and have a three-hour battery, a 1.4-inch low-power color LCD screen, and ANT+ capabilities, and a 16 MP CMOS sensor. The fancier VIRB Elite adds Wi-Fi connectivity, a GPS, an accelerometer, an altimeter, and its ANT+ can receive temperature sensor, speed/cadence bike sensor and heart-rate monitor information, and add it to footage. In addition, the ANT+ feature allows wireless connectivity to certain Garmin devices, including the Fenix and Quatix watches, Oregon 600, Edge 810, for remote control functionality. The LifeProof frē case (iPhone 4/4s , 5C, 5, 5S and Samsung Galaxy s3, S4) is waterproof, snowproof, dustproof and shockproof, and protects the smartphone from abusive encounters with the environment and anything else you can toss at it. The phone inserts tightly into the case, and then gets squeezed in snugly when the halves are closed together, and it takes some decent compression to get all the edges snapped completely shut and seal the waterproof gasket. Once everything is closed up tight, the case is immune to the average hazards tossed at it. 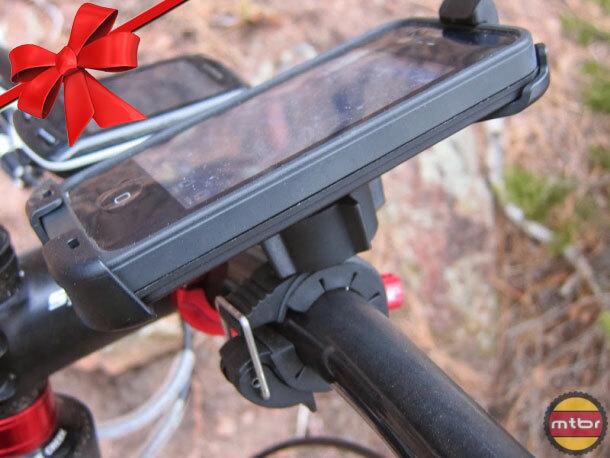 The bike mount (only available for the iPhone’s) is made from a tough high-impact resistant plastic, and it snugly cradles the iPhone case on its back, corners and top edge, without any undue movement. It clamps down with an easy to use handlebar clamp that has three rubber size adapters for varying bar thickness. The case retails for $79.99 while the mount goes for $39.99. 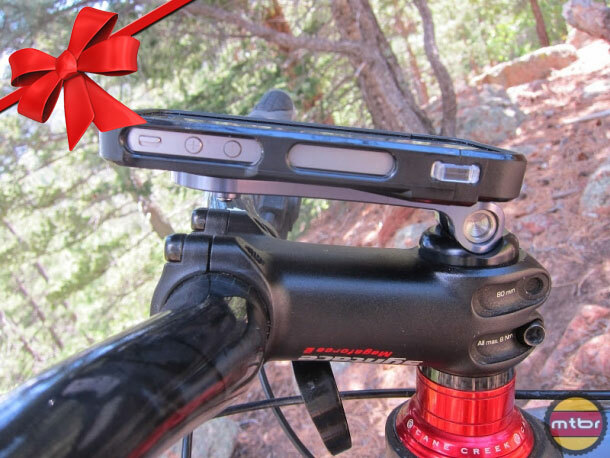 The Rokform Rokbed V3 Bike Mount Kit retails for $99 is an all-encompassing smartphone mounting system for bicycles, and the system includes a heavy-duty aluminum mount that attaches to the headset and a protective case for the phones (iPhone 4/4s & 5/5S, and Samsung Galaxy s3& S4). When the system is mounted on the headset, you can use your iPhone for cycling GPS apps and normal mobile and music usage, greatly extending your smartphones functionality, right at your fingertips. The two-piece case is made from an injection-molded polycarbonate frame, and has a thermoplastic elastomer non-slip grip insert that contains a rare-earth magnet. The case connects to the mount using their Remote Mounting System (RMS), which is a dual retention lock system. 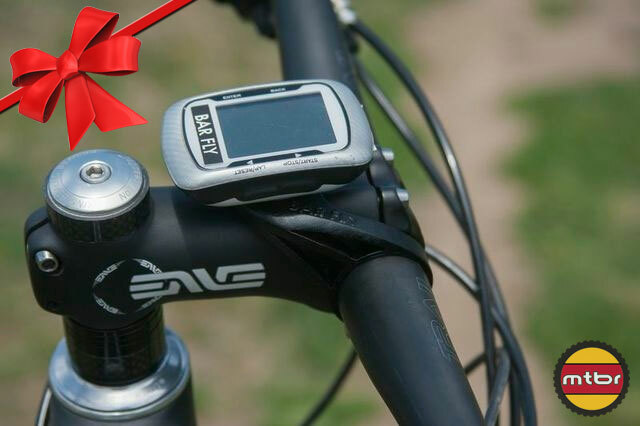 The new K-Edge Garmin Mount is a two-piece CNC machined 6061 T6 aluminum mount for the Garmin Edge 200, 500, 510, 800 and 810 GPS bike computers, and it has a new plastic interface to protect the computer’s wings. The mount offers a stable and secure attachment, and enhances viewing with a more forward placement from the handlebars. The mount fits 31.8 diameter handlebars, weighs 32 grams, has a lifetime guarantee, and retails for $49.99. Tate Labs has the impressive new Bar Fly 3.0. The made in the USA 3.0 mount is meant for the Garmin Edge bike computers, and is a backwards variant of their Bar Fly 2.0, with its mount position being behind the stem faceplate to protect the computer. The 3.0 weighs 17 grams, retails for $24.95 and comes with their “Buy one you’re done” lifetime warranty and crash replacement policy. The simple one bolt design of the clamp makes it easy to take on and off, so you can easily swap it between bikes. The mount is made of Delrin plastic, so the clamp section is safe for carbon bars, and of utmost importance, the main computer interface is friendly to the plastic wings on the back of the Edge units.